A few car pics courtesy Randy DeGering. If the IDs are wrong, please let me know. A 40s Ford or Merc. 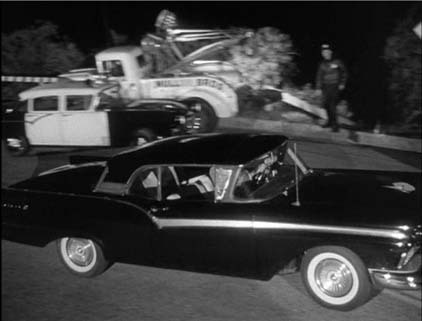 In the pictures above, "you identify his car as a Ford Skyliner. 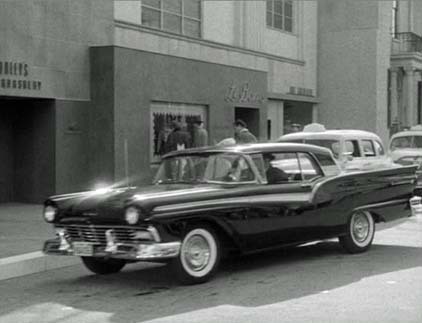 While that's not wrong, it would be more precise to call it a Ford Fairlane 500 Skyliner. 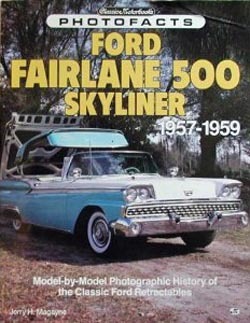 The model is Fairlane 500, and the 'Skyliner' part of the name refers to the retractable hard top roof, an innovation introduced with the 1957 model. (The retractable roof didn't always work right and only lasted a few years.) 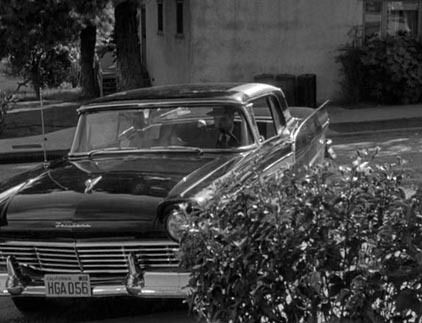 If you look at the attached photo of Perry's car [below], you'll see that it shows the name 'Fairlane.'" 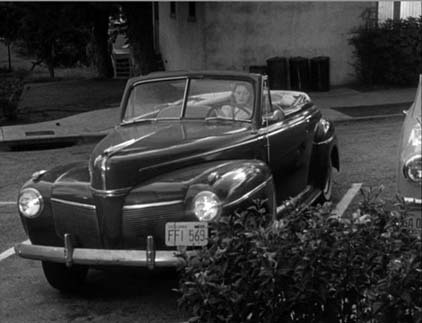 A front view of Perry's car from the episode. A slight enlargement allowing the name to be more easily seen. 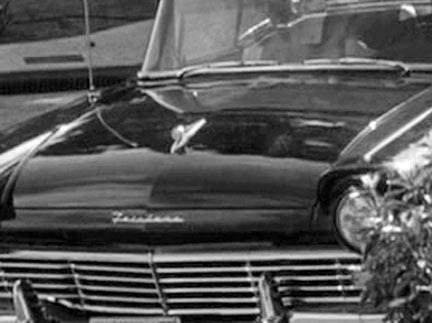 "In the first episode, I don't believe Perry drives his Fairlane with the roof down, but he does in subsequent ones (which is how we know it's a Skyliner)." Jim also provided this scan of the cover of a book which may be the ultimate reference for the model. It's out of print but probably available if you look hard enough. 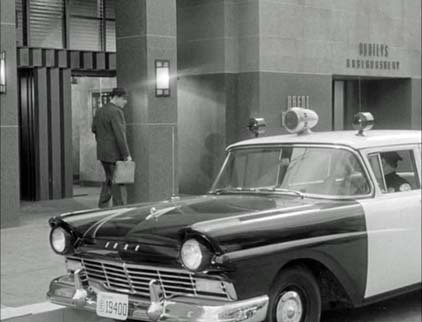 Jim has a long-time connection to the Perry Mason show. To learn more, visit his Classic TV Info site. The T-shaped mark is near the bottom of the picture between Perry and Tragg. 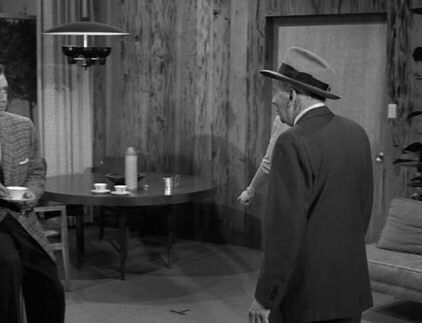 Della "hits the mark" when she pours a coffee for Tragg. The mark is not visible on my "off the air" tapes, but it can be seen on the Columbia House tape and, of course, on the DVD.